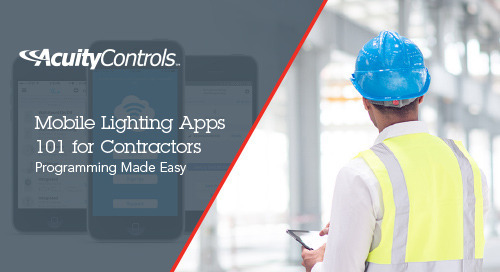 The same lighting app that contractors use to startup and program lighting in a building is available to facility managers and building owners once the construction is complete. Facility managers and building owners can modify LED lighting networks or sensor settings helping to meet code or address the needs of the occupants. Below is a breakdown of the common pain points that a mobile lighting app can address for facility managers and building owners. As business evolves, the flexibility to reconfigure or renovate a space to meet the needs of the occupants is critical. 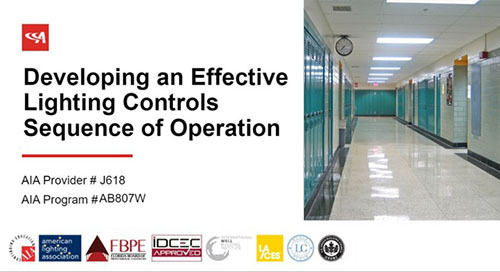 Mobile apps enable the facility staff to make changes in the space to align the lighting control system operation with the new space configuration. A mobile app can provide a significant benefit to organizations who regularly reconfigure spaces or move personnel from one space to another. Most of you have received a call from an occupant telling you a light fixture is not working or a request to adjust the light levels in the space. The ability to quickly address these types of issues improves occupant comfort and aids productivity. One of the important concepts facing building owners is reducing energy. Fine tuning lighting systems to enhance or optimize energy usage translates into reduced energy costs. Energy reduction is the new normal for building owners to cut operational costs or for those buildings seeking LEED certification. A cost-effective and easy way to adjust lighting systems and reduce energy costs would significantly improve your operation. Facility managers and building owners have the ability through a mobile app to change settings to meet the needs of the occupants and help to reduce energy. Mobile lighting apps help to avoid unbudgeted expenses providing a way for facility managers and building owners to change lighting system settings quickly and easily. The mobile lighting app solutions in the marketplace use various programming technologies and have different feature sets. Using a trusted business partner is important when selecting an app that meets your needs. 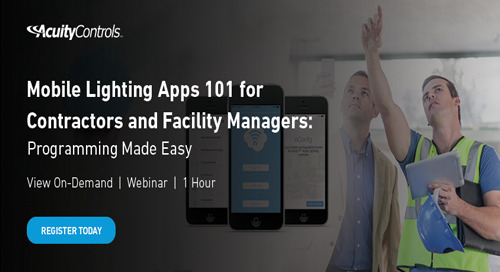 Mobile lighting apps provide facility managers and building owners a way to quickly respond to space occupant needs and fine-tune configuration settings to optimize energy savings. Please check out the resources available to further investigate the different solutions in the marketplace that meet your needs. Check Out Our Mobile Lighting Apps Now!